25720LF-SS is rated 2.1 out of 5 by 14. Rated 1 out of 5 by Craig from No flow Bought the faucet 3 months ago. The flow was very weak to begin with, but now it is down to a trickle. Have tried all of the recommended maintenance recommendations (Which should not be necessary) and still a slight trikle. Do not buy this faucet. Expected waaay more from a Delta product. Rated 1 out of 5 by kneb139 from Brand new install, no flow Liked the look of this faucet set so bought to replace an old set & sink. Installed everything and found next to zero flow. Took taps and valves off and flow is correct. Is there a flaw in manufacture? How do I get it to flow? Rated 2 out of 5 by Djanimal from Doesn’t shut off Brand new, just installed. Water leaks from spout even with handles securely shut off. Water is always in the spout and in the sink. Dripping water cost money and it just ridiculous for a brand new $120 faucet. Rated 5 out of 5 by Minnie from A Classy Little Fixture! I saw this at my girlfriend's and loved it...so when we updated our 2 bathroom I had to have one! Still loving it! 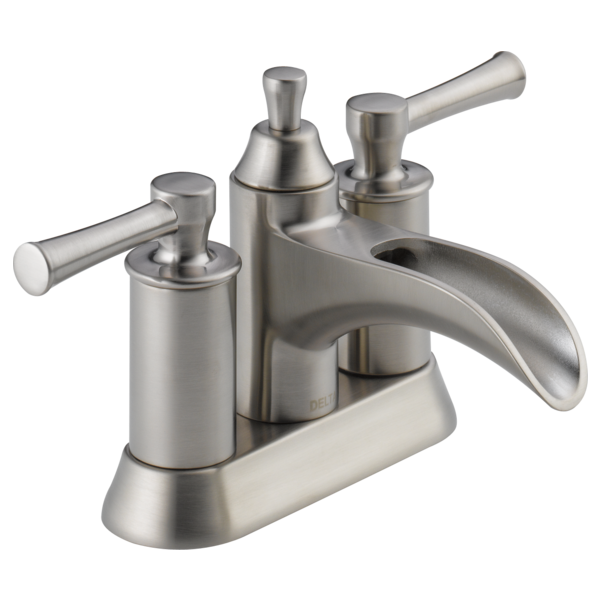 Rated 1 out of 5 by Raps from Discover Delta faucet internal workings. I purchased this faucet a couple of years ago. I have since learned to disassemble and assemble in the dark. Originally removed the springs and seat to flush, but have determined that removing handles and forcing compressed air up the spout works better. While we liked it for it appearance it's function is abysmal. Rated 1 out of 5 by Hope from Dont buy this.. Worst faucet ever I drove all over to find this faucet...Paid a professional plumber to install it and there is only a trickle of water...NOW I see that this is a common problem... beyond frustrated.... box gone, and I cannot return it... 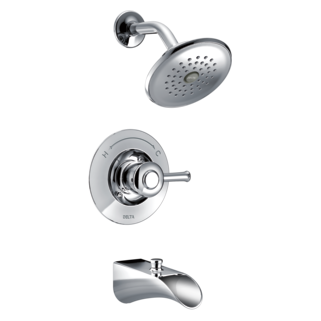 I have redone 3 bathrooms with Delta shower and sink products ... spent lots of money because of the perceived value of a delta product... never again.. piece of junk... do no buy it! 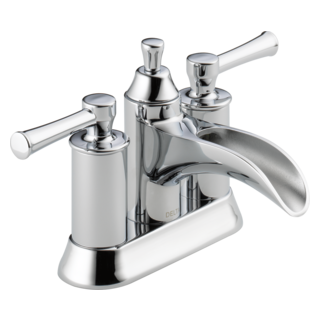 Rated 3 out of 5 by Ggal8326 from Minor leak The faucet leaks through the lift rod on top of the faucet. If you're cleaning the sink and faucet and splash water in the area of the lift rod, a few drops will follow the lift rod and drip under the sink. This also happens when you have wet, dripping hands and you handle the lift rod. If you have a fix for this, I'd be glad to listen. We bought 3 of these and they all have the same problem. This may be a design issue with this model only. The 3 delta faucets that were replaced did not have this problem. If they did, I never noticed. Not enough of a leak for me to take them off and send them back, but thought you needed to know. Rated 1 out of 5 by Wesley from Trickle trickle I drove 150 miles round trip to find a place that had these in stock. My contractor Installed today and no water pressure. Are you kidding. I look at reviews now only to find this is a problem with this faucet. Now what? Take apart and drive another 150 miles to return. Hi Connie, Please see attached Spec Sheet for dimensions. Is the product Model#: 25720LF made in the USA? HOW DO YOU TAKE THE HANDLES OFF? I am putting a Delta 25720LF in a bathroom farmhouse sink. The sink does not have a overflow. The drain tailpiece assembly with the faucet will not work. Does Delta have a different drain assembly for this application?